With golf, art, family fun and exploration, this month’s set of escapes provides a range of exquisite options for families, loved up couples and those who just need a getaway. Who doesn’t want to Stay Inspired? There’s certainly plenty of mental and physical stimulation at Conrad Bali, with stunning beaches, sacred temples, fire dancing and a yoga sanctuary, all accessible via Conrad Concierge on the Hilton Honors mobile app. Experiences include an excursion to the Sacred Monkey Forest in Ubud, with three on-site temples and six hundred Balinese long-tailed monkeys guests can interact with, or treatments at the resort’s Jiwa Spa and Baris Studio, which combines ancient Balinese techniques with Western treatments, giving guests the perfect opportunity to relax and enjoy the lush Balinese landscape. 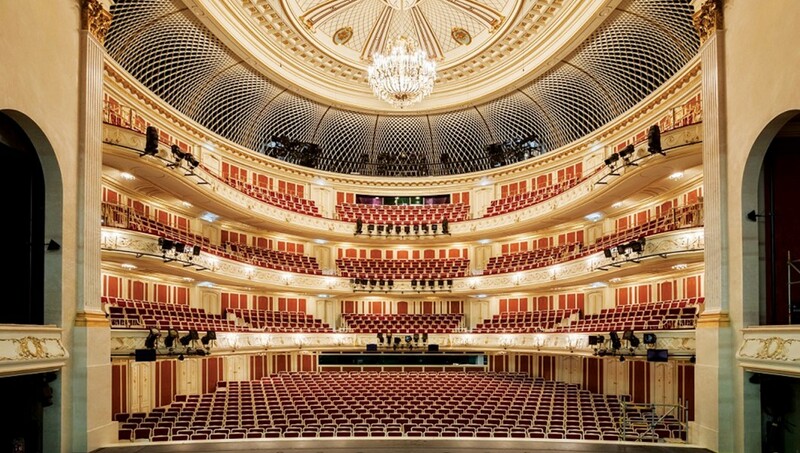 Guests at Hotel de Rome in Berlin can explore 250 years of opera history at the newly designed historical theatre, the Berlin State Opera. Along with phenomenal acoustics and impressive performances in the newly designed Staatsoper Unter den Linden, the hotel’s opera package ensures guests get access to seats in the very best category for the performance of their choice, as well as a culinary tour with a three-course menu including coffee specialty in the La Banca Restaurant, with a complimentary Il Maestro beverage, named after Maestro Barenboim’s favourite cocktail. The “One Night Only” Opera arrangement also includes some pampering in the 800-square-foot De Rome Spa. The Peninsula Hong Kong’s all-new ‘Culinary Journey’ takes guests on a gastronomic odyssey through four of the hotel’s highly acclaimed restaurants in one evening. The starting point will be in The Peninsula’s legendary Archive Room, which features a fascinating array of historical records and artefacts that span the entirety of the hotel’s 90-year existence. Exquisite canapés will be served before guests are whisked off to the hotel’s restaurants Felix, Spring Moon and Gaddi’s. Brand new this month, Drift Spa at Niyama Private Islands Maldives has commenced a special collaboration with Beverly Hills IV Therapy, offering a comprehensive menu of IV formulations for guests wanting to “mainline” their therapies. Drift Spa’s resident medical staff worked with Deborah Alessi, CEO of Beverly Hills IV Therapy, to create a comprehensive menu of original IV therapy formulations, including such options as Detox, Fat Burn, Hydrate, Jet Lag, Anti-Aging, and Vacation Booster. Each formulation was developed to help heal and rejuvenate guests, so that they can fully enjoy Nature’s Playground. Amsterdam’s luxurious Conservatorium hotel is offering a special package to attendees of the 23rd annual Amsterdam Dance Event (October 17–21). The “ADE READY TO PARTY” package integrates wellness into guests’ stays, making the hotel the perfect retreat to rejuvenate after the event, with the option to add-on a special “Vitamin Drip” therapy at the ClausHoltz clinic next door for the ultimate party recovery. Start your party in our Grand Duplex Suite or Royal Duplex Suite, these dedicated urban spaces spread over two spacious levels feel like your own loft in Amsterdam. The package also includes an in-suite recovery breakfast service for two guests and a bottle of bubbly upon arrival. Revitalize your mind, body and soul with a tailor-made wellness journey that focuses on the three main aspects of health: diet, exercise and sleep. Bend your body back into shape with daily yoga routines and savour the chef’s curated healthy meals at breakfast, lunch and dinner. The island’s exceptional team of spa therapists and culinary masters will guide each guest along their own transformational path to ultimate wellness. The “Health & Wellness Retreat” package includes up to five nights’ accommodation in a villa, speedboat transfers, complimentary upgrades, all meals at all-day dining venue The Edge, daily yoga and a range of massages, meditations and other treatments. If you want to put a cherry on top of a Tanzanian safari with a beach getaway or simply want a relaxing escape on the pristine East African coast, Constance Aiyana Pemba, Zanzibar has the perfect package. The Complimentary All-Inclusive Upgrade Offeris available when you book on a full-board basis and includes three meals a day in the main restaurant, a selection of drinks, including beers, access to the bar until 11.30om, in-villa drinks facilities, complimentary cakes for birthdays and anniversaries, watersports gear, and much more. The offer is also combinable with Constance’s 20% Discount Special Offer, Honeymoon Special Offer, Honeymoon Gifts Offer and the 40% Launching Offer on selected dates.